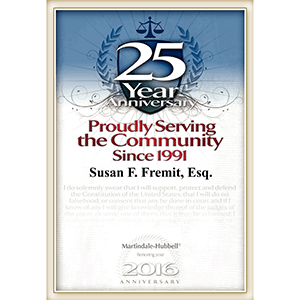 Spotsylvania, Virginia Criminal Defense Attorney | Susan F. Fremit, P.C. You never thought it could happen to you. You always drive within the speed limit. You never drink and drive. Well, except this once, but you forgot to eat today. The police officer told you that your Blood Alcohol Content (BAC) was over 0.20% and was charging you with Driving While Intoxicated. He told you he clocked you doing a speed of 80 miles per hour in a 40 mile per hour zone and was also charging you with Reckless Driving by Speed. A million questions start running through your head at once. What will I tell my parents/spouse? Will I go to jail? Will I lose my license? Will my boss find out? Where to turn? What to do? Should I call and retain a lawyer? Understand that the unthinkable does happen. Also understand that criminal charges and their consequences are serious. What matters now is making the right decisions for you and your future as misdemeanor and felony convictions in Virginia are on your record for life. 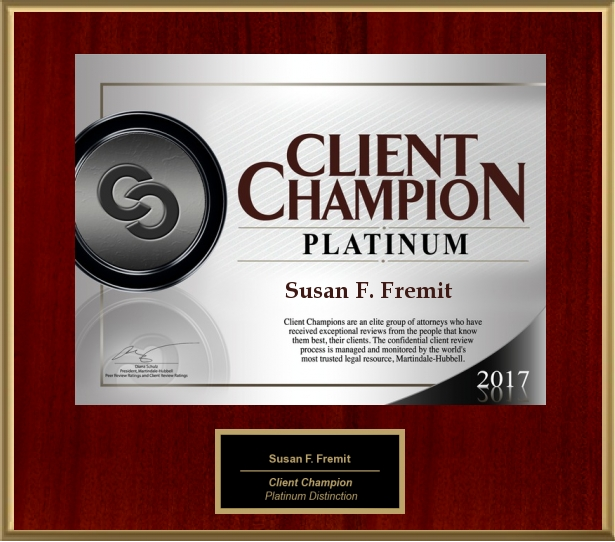 The Law Firm of Susan F. Fremit, P.C. can be your best defense with a combination of award winning experience, aggressive representation and a proven track record across a broad range of criminal and traffic offenses. If you are facing a criminal or serious traffic charge in Alexandria, Arlington, Caroline, Culpeper, Essex, Fairfax, Fluvanna, Fredericksburg, Goochland, Hanover, King George, Lancaster, Louisa, Northumberland, Richmond County, Orange, Spotsylvania, Stafford, or Westmoreland, Virginia, contact Susan F. Fremit, P.C. now for a free consultation.